(Photo: Diocese of Oxford)The Rev. John Pritchard is seen in a handout portrait. A senior cleric in Britain's upper house of the Parliament paid tribute to the late former Prime Minister Margaret Thatcher in part by recalling a few of the Church of England's "moments" of dispute with former prime minister. The Bishop of Oxford the Rev. John Pritchard spoke from the Bishops' Bench in the House of Lords Wednesday during a series of tributes to the baroness. He called Thatcher a "remarkable woman" whose policies nonetheless caused "deep divisions" in a mining region in Northern England area where he resided in the 1980s. He said she was a "leader of absolute integrity in terms of her own beliefs." The incidents he recalled involved a scheduling conflict, a church report on a widening economic gap, and the church's remembrance of the bereaved on both sides of the Falklands War. "The Church of England had its moments with Lady Thatcher of course," he said. "The suggestion that the date for the enthronement of the Archbishop of Canterbury be moved so that it avoided a clash with the budget of 1980 was one early instance. Happily, and in a rare example of the lady being for turning, in the end it was the budget that was rescheduled." Another "moment" came after the church released a report in 1985 about Britain's urban areas, which the church website says sparked "new awareness of the emerging gaps in society, gaps which had become painfully apparent in the riots of the summers of 1981 and 1985." A separate incident took place after the war with Argentina over control of the South Atlantic's Falkland Islands, where more than 250 Britons and nearly 650 Argentines died. 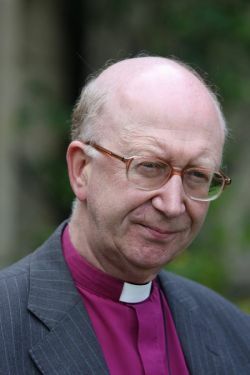 "The Church traditionally has a role of being in critical solidarity with governments of all persuasions and so the production of the influential report Faith in the City and the Archbishop of Canterbury's Falklands sermon in which he remembered the bereaved on both sides - these both caused momentary mayhem," he said. "But that was to be expected when issues of principle were at stake. It didn't dent her respect for the Church or our regard for her steely qualities." Nevertheless, her relationship with the Church of England continued. She became an Anglican after being raised a Methodist. "It was entirely fitting that the place where she particularly enjoyed the chance to walk securely and privately in her latter years were the grounds of Lambeth Palace, which successive Archbishops placed at her disposal," Rev. Pritchard said. He noted her faith played role in "informing her beliefs about personal responsibility and the importance of religion in public life." "Some of us may perhaps wish that, on a few more occasions, the lady had been for turning, for turning has a good pedigree in Christian theology, but we can still applaud her many achievements while regretting the excesses," he said.